This politico is a former chief provincial purohita. He has made it a practice to visit a certain political leader in the South once in every two or three months with a large basket of fresh vegetables. “Sir, these vegetables are genuine produce from the crops we raise in our home garden using organic farming. 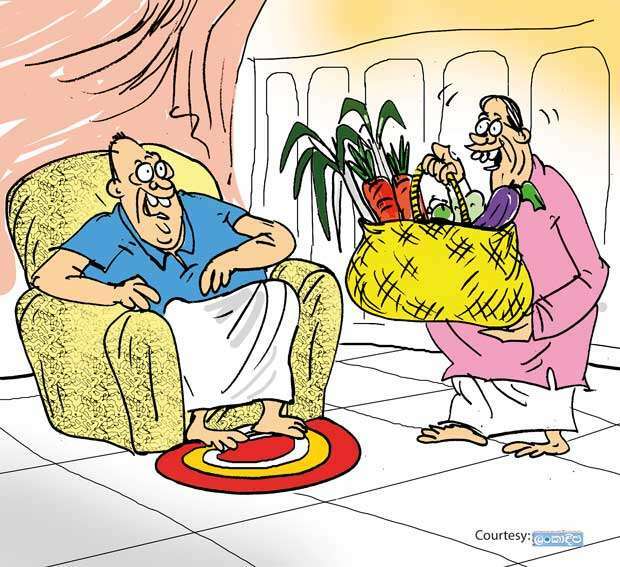 We don’t use even a wee-bit of chemical fertilizers,” the politico would tell the Southern leader while presenting the basket of vegetables. However, sources close to the chief purohita say that the latter would spend an hour or two shopping at a supermarket the day before he made the regular visit to the political heavyweight in the South. By the way, the leader in the South hates vegetables grown using chemical fertilizer, they say.